When you’re an anime fan long enough, you start to come across major debates either on the Internet or even talking to fellow fans. 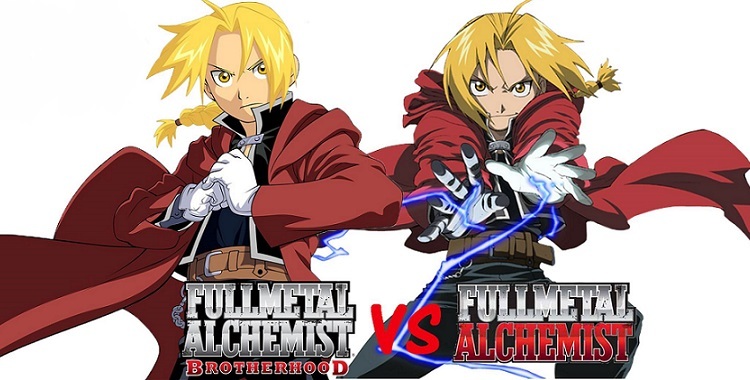 Classic debates like subs vs dubs are pretty frequent, but another long fought debate that gets brought up just as often is Fullmetal Alchemist vs Fullmetal Alchemist Brotherhood and which one is better. This is a very divisive topic like the other ones and I thought I’d give my two cents in this debate because I’ve been on both sides of it before. Before we get started, there are a couple of important, key pieces of background information needed in order to understand just why these two shows are so dramatically different from each other. 1. 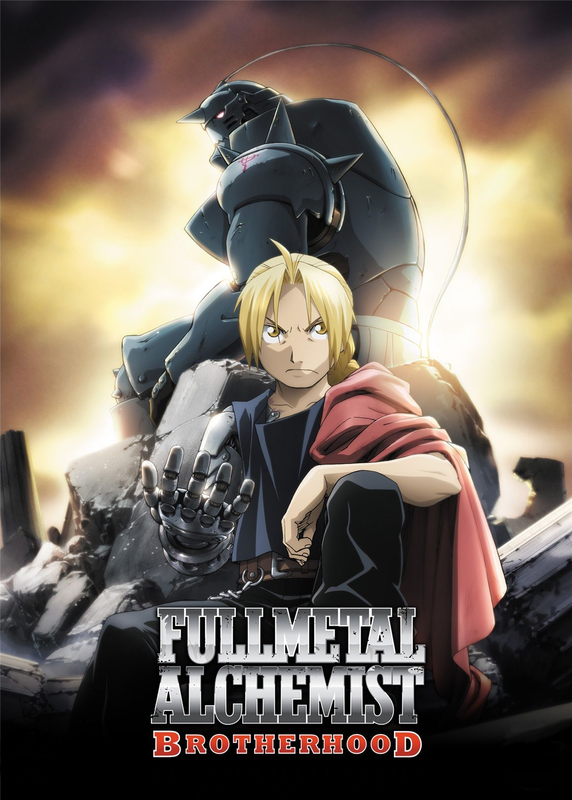 When the original Fullmetal Alchemist began in 2003, this was only a couple of years after the manga took off in 2001. 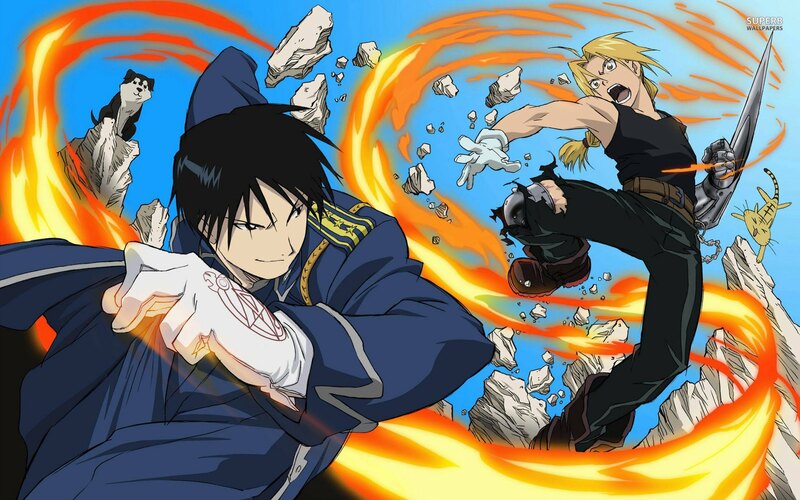 At the time, Hiromu Arakawa wanted to expand on some of the characters, and asked that the anime take the story in its own direction because she knew the anime would end long before the manga. Because of this, the stories begin to diverge significantly around halfway through the anime. 2. Brotherhood was announced as a faithful adaptation of the manga in 2009, and the first episodes were handled with the assumption that most fans had already seen the original. To compensate for showing the same content again, these early episodes were sped through in order to introduce the new characters and story at a quicker rate. Brotherhood was completed in 2010, and both Brotherhood and the manga ended in the same week, and Arakawa was present during much of the planning of Brotherhood. It’s important to understanding the reasons behind why these two adaptations are so wildly different from each other because, when talking about the stories of these two shows, it almost isn’t fair to compare them. The original anime is obviously going to be at a disadvantage because it was forced to essentially write its own story after setting the foundation based on the manga, so making it connected and compelling is challenging. Furthermore, Brotherhood is going to have the superior story because it’s following the manga and allowing those plot threads to connect organically, so deciding which one has the better story based on these points alone isn’t even a question. While it’s important to look at both series as a whole, I also think it’s worth looking at individual moments as well and see how the execution is handled with both. For example, the flashback when Ed and Al are abandoned on a deserted island by their teacher Izumi and forced to survive for a month is expanded in greater detail in the original. These couple of episodes the anime spends is much more intense in addition to emphasizing the bond between Ed and Al. Brotherhood had to rush through much of this content within a single episode, and so a lot of the emotional moments that I loved in the original are essentially glossed over. The original handled those moments better, but then again, Brotherhood worked with what they had and still did a pretty good job hitting those emotional points. You’re probably seeing the issue with this debate very quickly. Both shows are at a disadvantage against each other: if the original could have followed the story, it may have been great, and if Brotherhood didn’t have to rush the early episodes, it could be even more perfect than it already is. You could make the argument that these points don’t matter, but it does make this debate more difficult to resolve. So the question shouldn’t be “which one is better” because that’s honestly not a fair fight on either side, but more of “which one should be experienced,” because both are good shows that fans really like and are very passionate about. When most newcomers discover Fullmetal Alchemist they often ask the question of which one they should watch first, and these answers can vary greatly depending on who they talk to. What some fans ultimately came up with was a compromise: they suggested watching both to experience each of them in some shape or form. The formula recommended watching the first several episodes of the original and then switching over to Brotherhood where the plots diverge. This isn’t a bad idea, but it’s risky because of how connected Brotherhood’s story is from beginning to end, so there’s a chance of missing some key points. So now we’re back to square one, and no closer to determining which one should be the Fullmetal experience for anime fans. What it comes down to is preference. I watched the original before watching Brotherhood, and there was a time when I thought the original was better. And in a lot of ways, there were certain scenes and episodes that made that true for me. Like the intro scene of the first episode of the original? That still gives me chills down my spine because of its execution. But once Brotherhood’s story takes off, it’s impossible to deny how interconnected the story and characters are, plus the fantastic action sequences and animation make watching Brotherhood a wonderful experience, and I have yet to come across another series like it. Both shows are good and received critical acclaim worldwide – that much is certain. 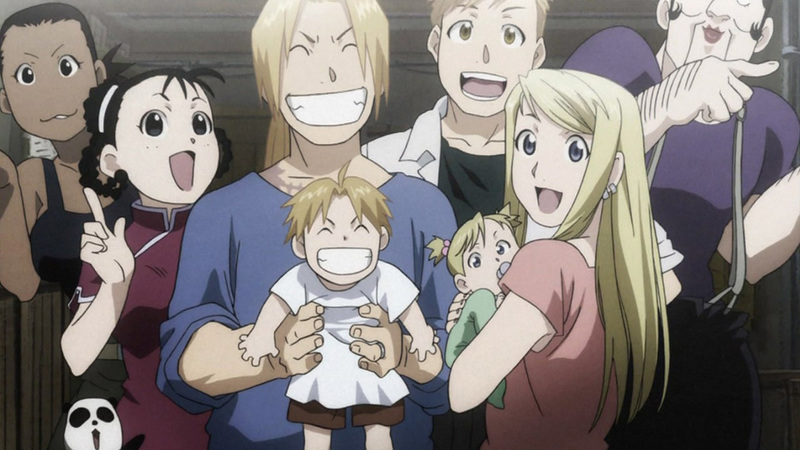 Over time, I’ve come to truly love Brotherhood and declare it my favorite anime of all time, but I still have a soft spot for those exceptional moments of the original Fullmetal Alchemist as well. I would say that both shows are worth watching for very different reasons, but I can’t tell someone which one they’re going to like better. Sure, I can tell you that Brotherhood is the superior anime and give you a list of reasons why, but that’s just my opinion. Some people may share that opinion with me, and others may not. It’s up to the individual to decide which one they want to experience first though, and which one will stay with them long after the credits roll. But I think we can all agree Brotherhood has the better ending. I like both shows. Brotherhood has the more satisfying finale, but the original is still worth watching as it doesn’t fast track the early storylines. It’s hard for me to compare the original and Brotherhood against each other now because of how long it has been since I’ve seen the original. All I can remember of the original was liking it a lot and that’s about it. Any differences in story between that and Brotherhood is completely lost to me unless I go back and rewatch the original, which unfortunately, I barely have time for that either. I do wind up remembering what was similar between the original and Brotherhood as I watched the new series, but I can’t judge if I preferred one over the other. Yeah, when I first started watching Brotherhood after watching the original years ago, I compared them way too much. Once I finished out Brotherhood, I learned to appreciate the strengths of both and not feel so inclined to judge one over the other harshly. I prefer Brotherhood because even if the pacing is off early on, the story is far more satisfying. The end of the original drove me crazy and even knowing why it ended that way, it didn’t make for a satisfying viewing experience. I’m going to have to go with Brotherhood on this one. I enjoyed both series, however where the first one had one of my least favorite anime endings, Brotherhood has one of my favorites. Endings can leave such a lasting taste for a series, and Brotherhood’s manga-faithful ending nailed what I wanted for a finale. If it weren’t for the 2003 anime’s ending, I might have appreciated it more. I agree that Brotherhood has a better story, but the pacing was a bit rushed, especially in the beginning. The original took its time in telling about what happens with the characters, even though there were tons of filler episodes. Also, the music in the original series has much more of a variety and memorable soundtrack than Brotherhood. In my opinion, I like Brotherhood better not just because it follows the manga, but because of the animation, and it has a much better ending. I agree with all of those points! It’s part of why this debate is pretty difficult to resolve because both have advantages and disadvantages to each other. I’ve always preferred Brotherhood, but I think both are great shows. The original FMA handles the shared content better, but isn’t as good when it gets into completely original content. Brotherhood’s a bit weaker on the early episodes, but is a lot better once it gets into the new content. The main issue I have is that the original had a fairly disappointing climax and ending compared to the rest. Brotherhood’s final arc was virtually perfect across the board. The watch order I’ve always advocated is FMA 2003 and then Brotherhood. They’re both worth watching, but this way you’ll spend less time on content you’ve already experienced. I’ve been reading and it seems like everyone prefers Brotherhood’s ending over the 2003 anime ending. I mean… I understand, Elric deserved to live a happy life with the girl he loves after all he’d been through and had to endure, and don’t get me wrong, Brotherhood’s ending was super satisfying and a perfect finale for the long-running story. But there’s one key point that makes me love 2003’s ending that nobody else seems to take into account: “Fullmetal Alchemist: Conqueror of Shamballa”. I guess not everyone knows, but there’s a movie that expands on the 2003 anime ending. It explains many of the loose ends the anime originally leaves unexplained, it gives a more open and clear view of what happened in the ending scene of the anime, and honestly it has such an emotional ending, I even find it better that FMAB’s. To summarize all this long review and comparison, in my opinion, Brotherhood has a better animation, story development, character development, important plot points, and is superior in most ways. But the real debate is focused on the ending, ‘cause yeah, Brotherhood’s ending is way better than the 2003 anime’s ending, and as I said before, it’s like the perfect finale for the long-running story. However, when taking the movie into account, and how it repairs some stuff of the original anime, and how it gives it such a better ending and so different that FMAB’s, it just comes off to a subjective answer, of which one did you enjoy the most, or what kind of ending would one prefer for an anime, a happy ending, or a bitter-sweet ending. It was really hard to write this without giving out too many spoilers of the movie. If you didn’t know about the movie, well now you know, so try to look it up and and enjoy it as well. Come back here and reply your review after you watch it 😉 cuz I really wanna know if it changes people’s opinions on the 2003 story.